Araucania Ranco Multi - Colorway #312. 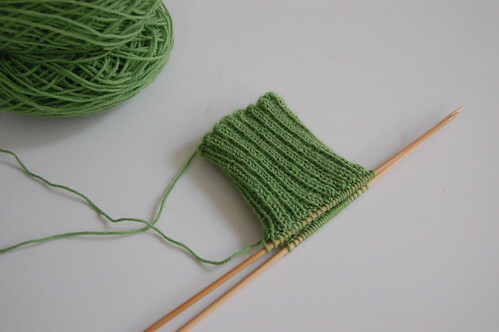 And this one is the Kureyon Basic Sock Pattern, using Opal UNI in Bright Green (#40). You've chosen really pretty colors for your socks. You'll be looking very festive at Christmas time right down to your toes. You are very talented... and fast!! The socks are lovely and coming along very nicely. Very cute - I especially love the red (pink?) ones with the cables. 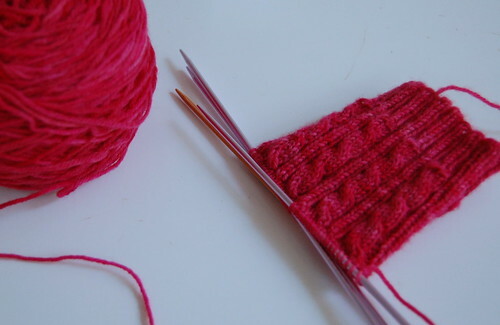 Great starts on your new sock! I am unable to knit now as it plays havoc with my hands. These are great! I wish I knew how to do this!